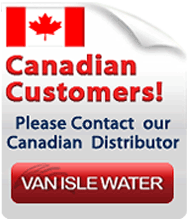 Manufacturers of the very best pond sealant the industry has to offer! A "do-it-yourself" solution to stubborn pond leaks. Backed By The Only 5 Year Warranty In The Industry! This one coat application will add an additional 10-15 years to your pond. PondPro comes standard in white or black. You can: however, customize the color by adding no more than three ounces per gallon of an universal colorant (Glycol Colorant for light colors and for medium to heavy colors use a solvent based colorant available at most paint stores). If the desired color is still not achieved you may add up to ONE more additional ounce of colorant. Pond Pro can be applied directly on an existing EPDM, PVC or fiberglass liner without any primer! Our PondPro Concrete product is designed for ponds or fountains made out of non-porous concrete, brick or mortar. For ponds where a 3rd party coating was already applied you would first need to apply the ProFlex Primer and then the PondPro 2000. Reflecting pools are another outstanding option for Pond Pro.. These are demanding applications where the unique properties of EPDM have distinct advantages over other products. Chances are; if you are reading this website it's because you are not able to find that stubborn leak or perhaps you simply want to extend the life of your pond, fountain or pool. Are you having difficulty finding that leak? Do your water levels keep dropping? Have you tried other products only to find out you still have the same issue? Well not anymore; PondPro 2000 will fix that leak. A 25 year history of success. Actually pinpointing a leak is an extremely difficult task. As pond liners wear and begins cracking many customers experience multiple leaks while others experience leaks only under certain conditions. What's worse than draining out a pond and fixing a leak only to discover another leak a month later. Pond Pro is a very stable and durable pond and pool sealant that will give you years of enjoyment. Shelf life for PondPro 2000 and PondPro Concrete is one year from the date of purchase. If you have previously applied another product over your pond you will need to use the pondpro concrete. Porous concrete (Requires PondPro Concrete) cinder block must be troweled or stuccoed first in order for the Pond Pro to adhere. Reflecting pools are another outstanding use for Pond Pro. PondPro can be colored to any color you desire. You can customize the color by adding no more than three ounces per gallon of an universal colorant (Glycol Colorant for light colors and for medium to heavy colors use a solvent based colorant available at most paint stores). Colorant needs to be added BEFORE the catalyst is added. The only 100% EPDM Pond Product on the Market! 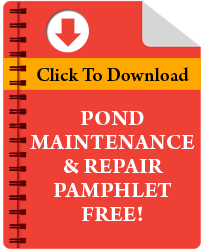 Fix/Repair Pond Leaks with Pond Pro! 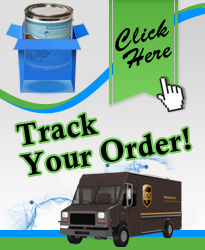 PondPro 2000 has been the choice of thousands of customers throughout the years. Unlike other pond sealants Pond Pro 2000 is guaranteed not to crack, peel or flake. Since PondPro 2000 waterproofs immediately upon application you will never need to worry about watching out for the weather and worse spending money on another product; after getting delete an unexpected rain. No other pond coating can make that claim. Do it right the first time and save money with our one-coat system. Note: PondPro Concrete cannot get wet for the first 48 hours.